Goat’s curd on toast accompanied by baby artichokes cooked with lemon and thyme (£8) was pleasant but unremarkable. 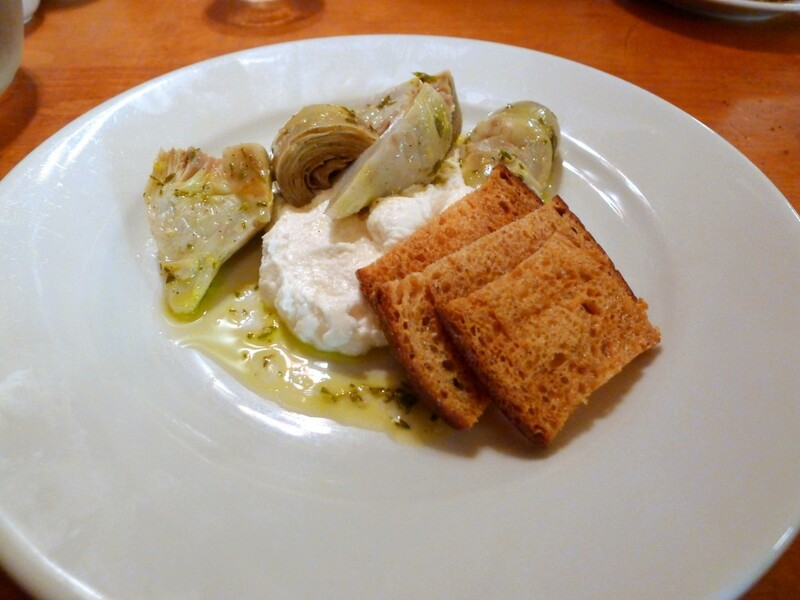 The curd was creamy, and the artichokes were nicely cooked and soft. It was therefore difficult to fault the individual elements of the dish. But the final effect was a bit flat, and the dish needed some additional touches to lift it, perhaps something herbal for some aroma. 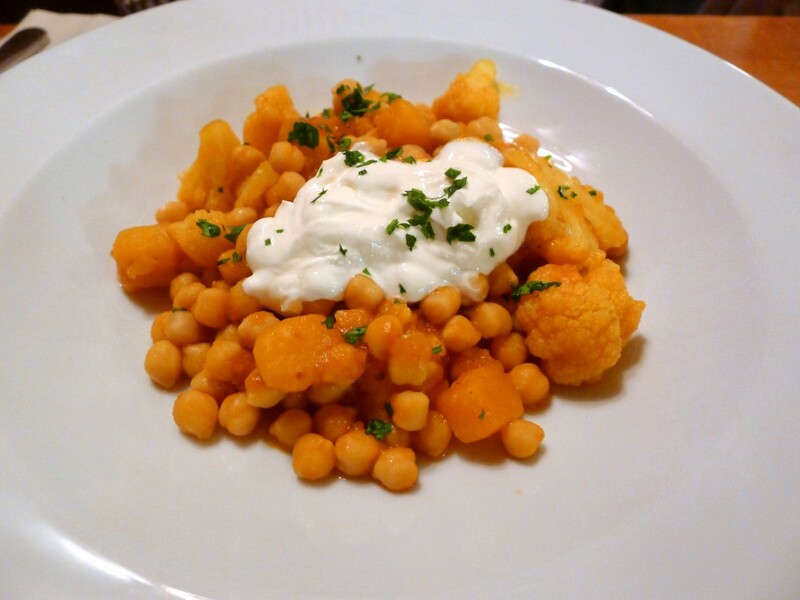 A main of curried pumpkin, cauliflower and chickpeas (£11) was nicely spiced for what was a homely, pleasant dish. Each of the components were well cooked although it wasn’t particularly spicy. 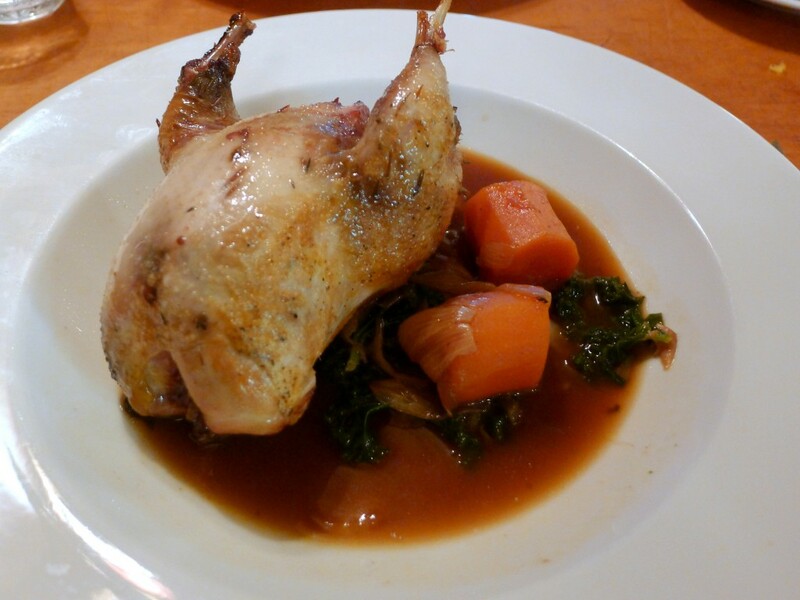 A roast partridge with kale, and a shallot and carrot broth (£14.80) was comforting and extremely satisfying in a wintry sort of way. The partridge was really tasty with a nice gamey flavour although it was slightly underdone. The kale was soft and well seasoned, and the broth was deliciously sweet from the use of caramelised shallots and carrots. There was plenty of broth as well, which made it a perfect ‘sauce’ for dipping the partridge into. To dessert, and the pastry on a pear, quince and almond tart (£6.80) was excellent. 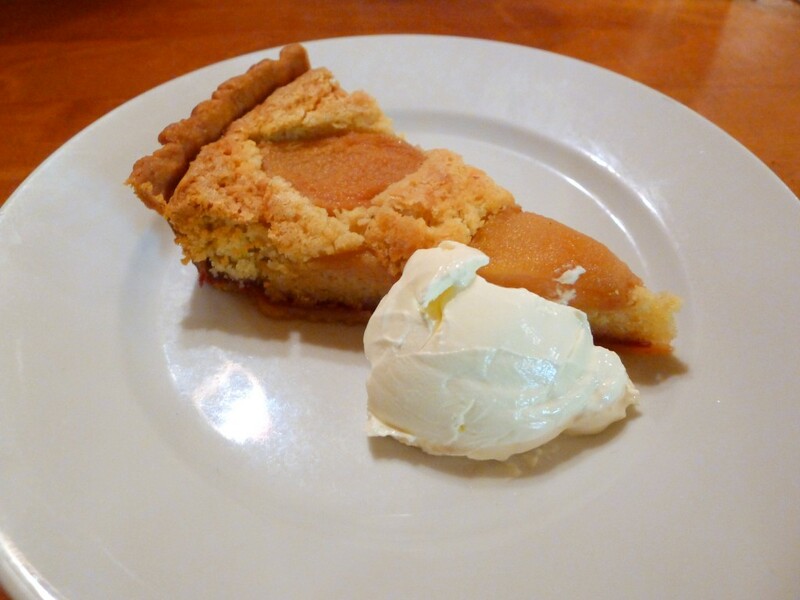 It was superbly buttery and flaky, and the frangipane was decadently moist. Its sweetness was well-judged, and there was a lightness to this tart which gave it a sense of daintiness. Admittedly I found the meat dishes more satisfying than the veggie options – they just had more flavour. 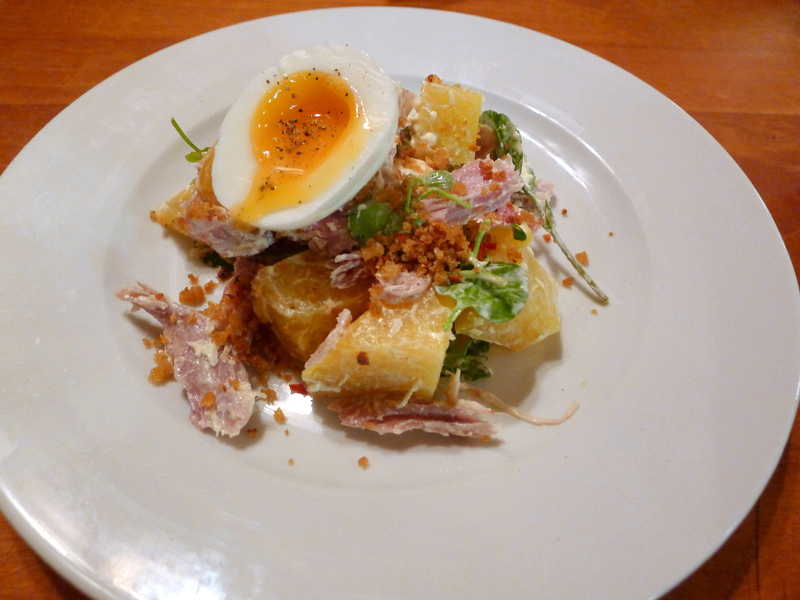 But it was really good pub grub nonetheless, comforting, satisfying, well-cooked and unpretentious. Best of all the food at Great Queen Street was really reasonable priced. Given its location in Central London, it’s great value for money and a really good go-to option amongst the plethora of otherwise touristy options in Covent Garden. Prices: About £19 to £34 for three courses, excludes drinks and service.